Rent arrears caused by delays in tenants receiving universal credit could hamper housing associations' building plans, it has been claimed. Coastal Housing Group said about 131 of its Swansea tenants claim universal credit, with 120 in arrears of £80,372. It said large-scale rent arrears could affect investment in future building plans. 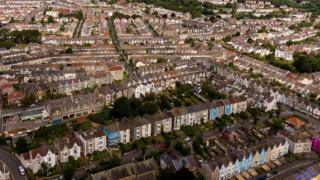 But Community Housing Cymru said new affordable home numbers had risen. A DWP spokesman said it had already "made improvements to advances". The roll out of universal credit in Wales continues, with claimants in Swansea the latest to switch over on 13 December. A Coastal Housing Group spokesman said eventually more than half of its tenants are likely to be in receipt of universal credit. "Ultimately if the trend where those in receipt of universal credit have arrears four times higher than the average were to continue, this would create large-scale rent arrears," the spokesman said. "We believe with extra work to support our tenants we can help more of them to pay their rent to partially mitigate this impact, however this and other aspects of the universal credit system will result in increasing our administration costs. "Coastal Housing Group has a strong financial position in comparison to the housing association sector in Wales. Consequently we attract funding from banks and capital markets on competitive terms, enabling an ambitious building development programme. "However the long-term picture suggests that if rent arrears increase across the sector, as well as reducing incoming income, this could damage funders views of the sector, restricting our ability to access funding or causing the cost of funds to increase. "This will reduce the number of new homes we and other housing associations are able to build in the future." 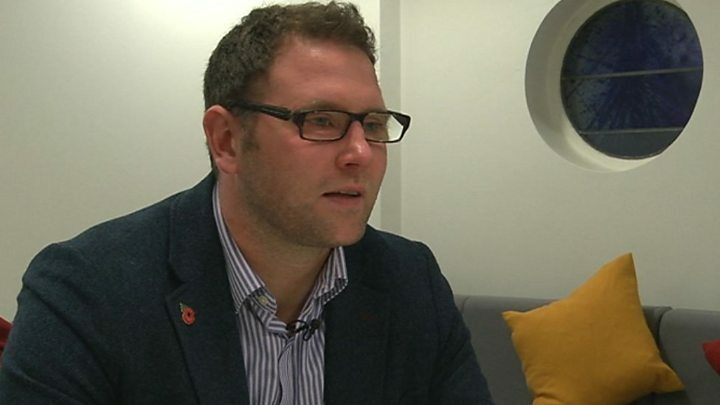 Yet Aaron Hill, of Community Housing Cymru, which represents housing associations, said: "Where Universal Credit has been rolled out, we have seen rental arrears treble on previous rates. "This is having a severe impact on tenants and will ultimately impact upon resources within Welsh housing associations. "Our 2017 socio-economic impact report demonstrates that regeneration services, including the provision of skills development and digital inclusion support, have already taken a financial hit due to welfare reform." But he said the number of new affordable homes had steadily increased annually, and it was working with the Welsh Government to deliver its target of 20,000 affordable homes by 2021. In Flintshire, 260 tenants receiving the new benefit have rent arrears worth £354,000. Although it is not known how many have fallen behind because of delayed payments, the council's welfare reform team said people waiting for their first payment had been forced to borrow to pay their rent, bills and buy food. A DWP spokesman said: "Already, we've made improvements to advances and will be reducing the time people wait for their first payment. "On top of this, people moving onto universal credit who already get help with their housing costs will get an additional payment of two weeks housing benefit to help them stay on top of their rent payments."